Speed up your manicures and pedicures with Jessica Speed Dry! Speed up your manicures and pedicures with Jessica Speed Dry Spray! Speed Dry absorbs the solvents in the nail polish to ensure that nails are touch dry in just 2 minutes and completely dry in 10-15 minutes. 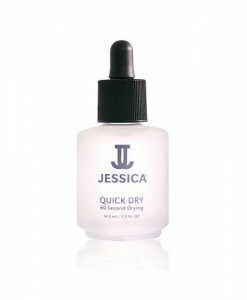 Simply spray Jessica Speed Dry onto painted nails around 4-6 inches away, using short bursts to ensure that the product spreads evenly for maximum effectiveness.